What do you think Thornburg is saying about computers and teaching? I believe Thornburg is trying to say that if a teacher is just giving students information just like a computer does and not engaging in meaningful communication between each other than what point is the teacher, really? The happiness that fills a classroom is the constant chatter and thoughts being bounced off one another. No student wants to hear the teacher talk for hours because it is boring and students will lose interest. Students want to engage with their classmates. If teachers would ask more questions and have the students answer rather than the teacher just answering questions for them students will learn more. I feel that teachers should engage their students in discussions between each other and question their reasoning behind their answers. What message should a future educator take from Mitra’s Hole in the Wall experiments? Sugata Mitra’s experiment of the “Hole in the wall” was extremely enlightening. As a future educator I believe that if a child is motivated in a way that is engaging and fun than the child will learn. If the child has no interest in school than he or she will not succeed. 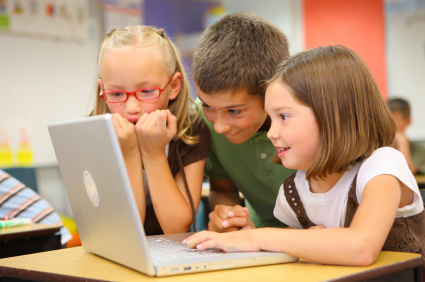 Teachers need to make learning fun and engage them in ways that are different or “outside the box.” Children these days are drawn to technology so having computers in classrooms are extremely helpful in engaging students to learn new things by simply searching the web. What role does technology play in your vision of yourself as an educator who makes an impact? When I was in fourth grade I had a teacher that only taught by lecturing. The whole year I took notes of what was being written on the overhead projector. Looking back to the fourth grade I couldn’t tell you what I learned nor gained in that class. I hope that as a future educator I never teach my students by simply taking notes. I want to make learning fun and be the teacher that the students will remember. I hope to promote an environment that is full of engaging conversation between peers and encourage students to use higher level thinking skills. I don’t want my students or faculty to be scared of new technology instead embracing the “Techy Movement.” I want my students to use technology as a tool just like a pen and paper. You and I both agree with the nonsense of lecture from a teacher for hours on end. It is like you said rather boring and not productive in my eyes at all. Teachers should learn to engage their students more by just simple conversations. Students are more likely to think on their feet and work together with their classmates to give a more holistic response to their teacher. As unfortunate as your 4th grade year may have been, I’m glad you were able to learn from this experience in the long run so you know which teaching styles are least effective.